The contact that you have with your children should not be used to check on your former spouse. It is harmful to use your children as little spies for you own purposes. Many times the children of divorced parents think that their parents hate each other. This makes the children feel uncomfortable during parental visits. These kids may think that if they do anything to make one parent happy, the other parent will outright reject them. They feel that they already lost one of their parents because of the divorce and fear that they may lose the other. For this reason, both you and your former spouse should show each other mutual respect. This includes, among other things, not interrogating your children about the other spouse after their visits with him/her. 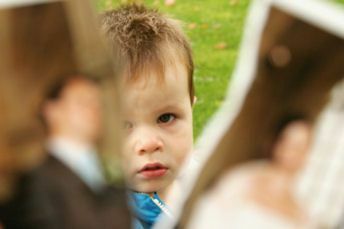 Especially in the beginning of a separation, children may face many problems following visits from the non-custodial parent. Both parents should put forth a great deal of effort to discuss logistical or emotional problems their children may have and work on ways to solve those problems. Remember that the future outlook, emotional development, and future attitude of your children is important, so you must work to make your visitations with them as uncomplicated, normal, and love as possible, given the circumstances. Do your best to let your children know that they have the love and support of both parents. It is wise to have a set schedule. You might not have any problems with your ex-spouse now, but there may be times when your relationship with your former spouse is tough; it is best for you to be prepared now than for you to be sorry later. Having a set schedule doesn’t mean you have to use it at all times, however. It is useful to have the set schedule on hand to be used as a provisional measure should your ability to work together deteriorate. You should consider the parental involvement and contact during the happy times of your marriage prior to your divorce as a measure of how to allot visiting time afterwards. This is because consistency is very important to the children. The general presumption and rule is that it is in the best interests of your minor child to have continuing and regular contact with you and your spouse after your divorce. The parent who opposes this has the burden of showing why this would be detrimental to the children’s best interests. This is a difficult burden to overcome and requires a strong showing that children’s emotional, mental, and physical health would be in risk of permanent harm.